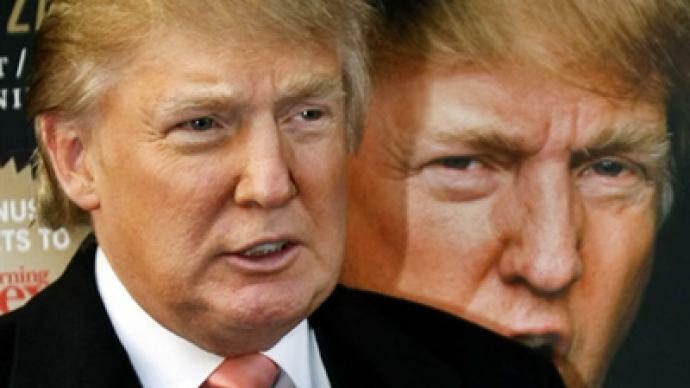 American billionaire Donald Trump could be the next US president. As the 2012 presidential race nears, he has joined possible Republican challengers who have been trying to win over conservative voters in Washington. ­If you have been wondering who the next US president could be, the Conservative Political Action Conference, or CPAC, is the right place to be. It is the US Republican Party’s biggest gathering of the year. "I am one of you," says Michelle Bachmann, the US Representative for Minnesota's 6th congressional district. "Are we gonna let Washington co-opt the Tea Party?" rails Rand Paul, a junior US senator for Kentucky. "While I am not this time a candidate for the presidency, I will decide by June whether or not I will become one," vows Donald Trump, American business magnate. Here, you could be standing just meters away from the next president of the United States… And that is, perhaps, what attracts tens of thousands of people to CPAC every year. Mitt Romney, governor of Massachusetts from 2003-2007, has not officially announced his candidacy either, but all eyes were on him. According to a recent Rasmussen poll, he leads Obama in a potential presidential race in 2012. Just recently, this likely candidate-to-be opposed New START – a treaty that would limit the amount of nuclear weapons in the US and Russia, and which was supported by the leadership of both parties. "New START impedes our national security," he said. And potential candidate Michelle Bachmann had quite a few eloquent things to say about US foreign policy, particularly in regard to China. "With all the money we owe China, I think we might rightly say 'Hu's your daddy! '” she wisecracks. And yet, she does not seem to joke all the time. "This is the time when we need to be on red hot alert, five alarm alert, and instead of pulling back and taking our weapons off the table, we need to gear up," Bachman said in an interview. And another presidential hopeful has been gearing up for years now, especially when it comes to dealing with Iran and Ahmadinejad – Newt Gingrich, a former speaker at the US House of Representatives. 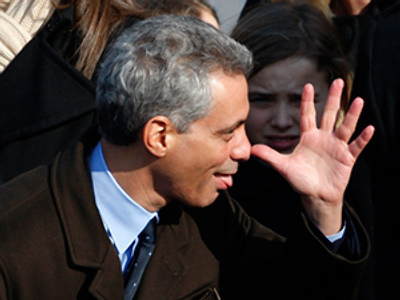 “He gets to wipe out Tel Aviv. Maybe the Israelis use nuclear weapons to wipe out Tehran. He will accept that in a minute because he believes everyone in Tehran goes to heaven, and everyone in Tel Aviv doesn't," Gingrich said. He is also really angry at the US president. "The Obama administration is wrong on terrorism, wrong on Iran, wrong on the Muslim Brotherhood, wrong on Hezbollah," he railed. But hating Obama is where the agreement seems to end. Freshman Senator Rand Paul had some new ideas which were not received too well by the conservative crowd. "Here's the compromise that conservatives will also have to make. We will have to look long and hard at the military budget,” he said to booing and jeers from the crowd. “I knew there had to be some dissention somewhere," he added. Trump noted, “The United States is becoming the laughing stock of the world.” What he may not realize, however, is that the joke may be on him: many voters say that a joke is what his potential run would be. Some participants were quick to make the distinction between “them” and everyone else. “The Tea Party is interested in selecting our Tea Party candidates, not just the establishment Republicans," said William Temple, a Tea Party activist. But “establishment” Republicans still have something to say, as well as having the money to back it up, like Donald Trump. 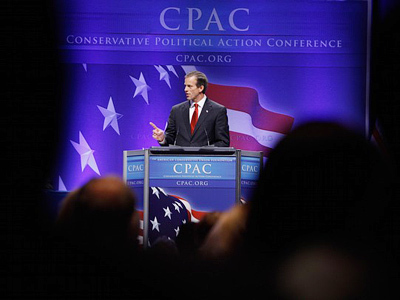 CPAC: What’s next for America’s conservative movement? 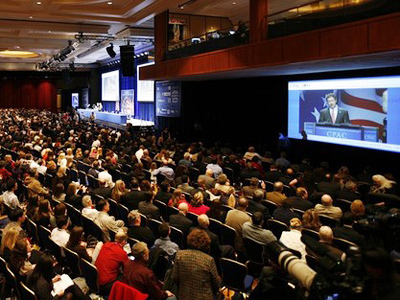 CPAC: Picking America’s next president?